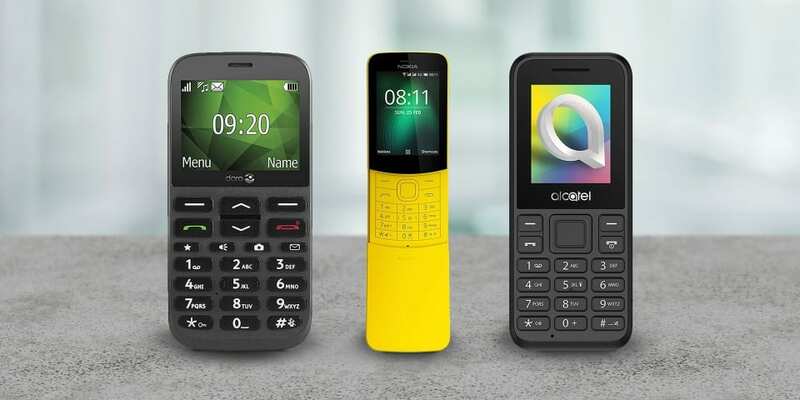 We’ve tested new simple phones from Doro, Alcatel and Nokia – prices start from just £15 and one of them has been made a Best Buy. You can find simple phones for as little as £5, or stretch to models around the £200 mark. They might be ‘simple’, but finding one that does its job well can be harder than it sounds. In an era where the smartphone has become a catch-all gadget, the simple phone is the fallen hero. Unlike smartphones hardwired to be your pocket camera, sat nav, personal assistant and debit card, simple phones focus on doing the basics. 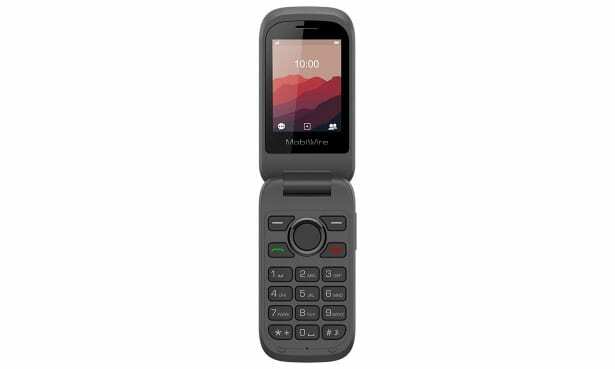 Also known as feature phones, they can be ideal as backup devices for emergencies, and with specialist features such as SOS alerts and hearing aid compatibility, a great option for older people. Browse all the best simple phones from more than 40 models that have been through our lab tests. Doro is one of the leading names in the simple phones market, producing a wide range of models from basic to those with near-smartphone capabilities that offer touchscreens. 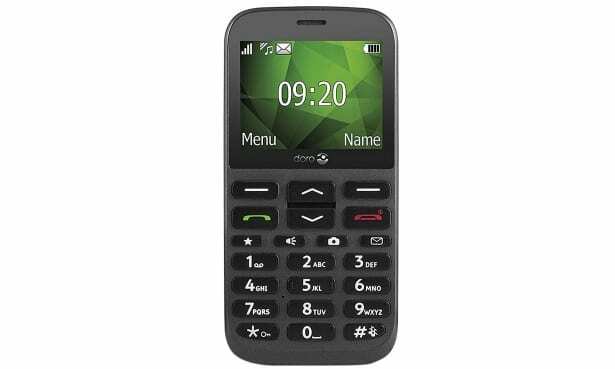 The £38 Doro 1370 above is on the former end of that spectrum, with a standard candy bar design. It comes with a good-sized 2.4-inch display and is equipped with a 3Mp camera on the rear of the phone. It also has 2G network capability, but being that it’s a basic phone, doesn’t have any smart features. However, it does have Bluetooth, which allows you to take calls hands-free and transfer data. We’ve also tested the Doro 2404 (£35), an entirely different design. The 2404 is a clamshell phone (also called a flip phone), that has a white interior with large buttons, much like many other Doro phones. As with the Doro 1370, it has a 2.4-inch display with 2G network connectivity. Its rear camera has markedly lower resolution, with only 0.3Mp. You’ll also get Bluetooth with this phone. Read our full reviews of the Doro 1370 and Doro 2404, and an alternative clamshell model in the more expensive Doro 7060 (£95). Being the popular simple phone brand that it is, we also have a guide on the best Doro phones. 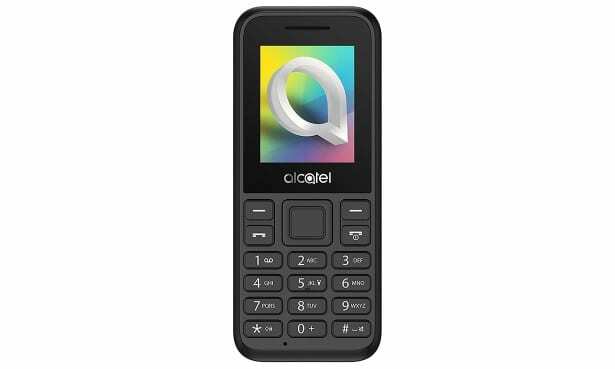 French manufacturer, Alcatel, is known for making both smartphones and simple phones that are cheap. The Alcatel 3025X (£35) is a clamshell simple phone with a simplistic design. It has large buttons and navigation keys as well as a big 2.8-inch display screen. It has good network capability of 3G, which you can make use of to surf the web browser and social networking sites such as Facebook, which are bookmarked on the phone. For £35, it’s on the pricier end for a simple phone, but it’s still a good bargain. If you prefer the more standard phone design, the £14 Alcatel 1066G (pictured) may be the one for you. It’s compact and has a small 1.8-inch display screen. This phone has a low resolution camera (0.08Mp), but you can still capture videos on it. It claims to be able to last up to seven-and-a-half hours of talk time. We’ve tested the Alcatel 1066G to tell you whether these claims are fact or fiction. These two phones differ in design, but how do their scores measure against each other? Our reviews of the Alcatel 3025X and Alcatel 1066G have the answers. Similarly to Alcatel, MobiWire is a French mobile phone manufacturer. Alhough it hasn’t been around for very long, it’s managed to produce a number of models that are widely available in the UK. The MobiWire Nokosi (£30) is one of them. It’s a compact phone that packs a lot of extras by way of smart features. It’s got a 2.4-inch display and a 2Mp rear camera, which is quite common for simple phones. Network capability on this phone goes up to 3G. You can also expand the storage on the phone using a maximum 128GB micro-SD card. Alternatively, you can opt for the £15 MobiWire Koi (pictured), which is yet another clamshell phone. Instead of 3G, you can use 4G on this phone and you’ll also have an MP3 player and FM radio to listen to music. It has less storage than the Nokosi, only expandable up to 32GB with a micro SD card. Are either of these simple phones worth your money? We’ve tested the MobiWire Nokosi and MobiWire Koi to find out. The well-known Finnish manufacturer at one point dominated the simple phone market with phones such as the Nokia 3310. 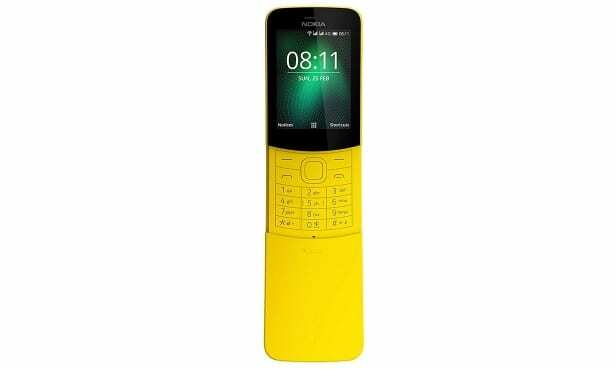 It has since rebranded many of its old models and released newer ones such as the £58 Nokia 8110 4G. While it is a basic phone, the 8110 4G has a unique curved design that has a sliding feature to encase the keyboard. As the name gives away, it has 4G network capability as well as a wireless hotspot feature so you can use your phone as a wi-fi connection for other devices. The display on the phone is 2.4-inches and it also has a 2Mp rear camera. Could this stylish phone take Nokia back to the top? Read our full review of the 8110 4G to get your answer. The name may be short-selling these compact devices – simple phones do have some handy features that make them somewhat unique. Some simple phones are specifically designed to connect to your hearing aid. 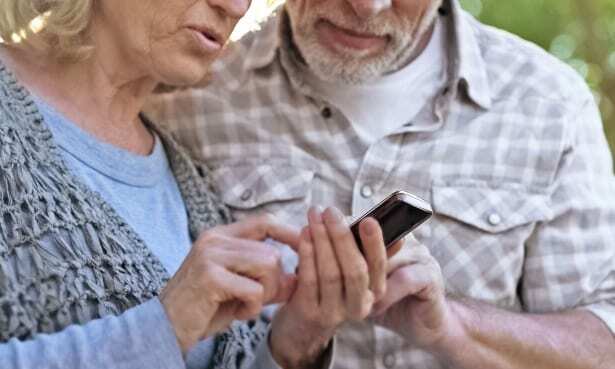 The output from the phone then transmits directly from the hearing aid, meaning sound is delivered in a way that is already at the settings that suit the user. Doro phones are well known for having this feature, but not all models come with it. If this feature is important to you, browse all our hearing aid-compatible simple phones. Having large keys on a simple phone is beneficial for a number of reasons. First, it makes it easier to use, whether that’s for texting or making calls. Second, it’s also good for people who have visual impairments, making it easier to see what they’re doing on the phone. An SOS button is one of the most functional features on simple phones and it can be extremely helpful in the event of an emergency. It allows you to preset emergency contacts and by pressing the SOS button, those people will be notified that you need assistance. Take a look at all the simple phones with SOS buttons we’ve reviewed. Likely an underrated feature, even on smartphones, the torch is handy in any case from misplacing something in the dark to trying to see something more clearly. Torches are on the rear of the device and will save you having to carry a torch separately. Browse all our simple phones with torches. A lot of people use their phone for basic contact purposes such as making calls and sending texts but equally, communication apps such as WhatsApp are continuing to grow in popularity. Rather than being left behind if you choose to steer clear of a smartphone, some simple phones can come with browsers, apps and even app stores for you to customise your phone with apps that are perfectly suited to what you need. Need more advice? Read our guide on how to buy the best simple mobile phone.